My Story is a corporate team building program that gives participants the chance to create and record their own unique story through art. Aboriginal art is full of stories, symbols and meaning. Without written words, Aboriginal stories have been recorded for thousands of years and passed from generation to generation. Art is a key ritual of Aboriginal society. It’s a connection between past and future. The Aboriginal Art - My Story activity is a corporate team building program that gives participants the chance to create and record their own unique story through art. Through exploration of values, participants in this team activity develop a clearer vision of what’s important and what they want their life to be. Drawing on the inspirational world of Aboriginal art, participants create their own unique symbols with unique meanings. These can be on a personal, team or organisational level. These unique symbols then form part of a ‘My story’ artwork, a process that is both fun and interactive and creative and certainly different from other corporate team building programs. 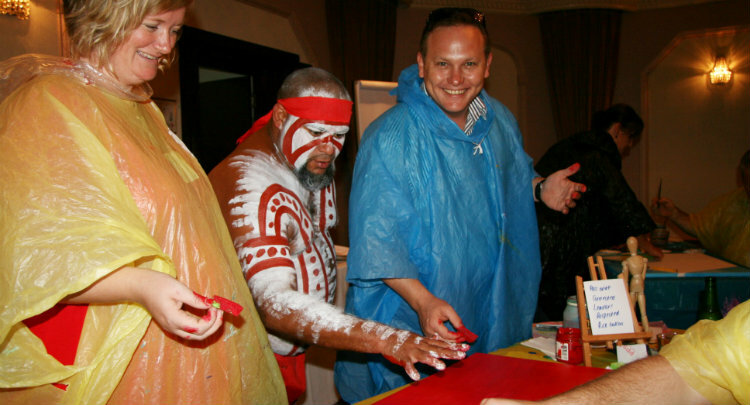 The My Story - Aboriginal Art corporate Team Building program is designed for all levels of ‘perceived’ creative ability. It is a team building activity where everyone is able to visualise and communicate their ‘story’ without the use of words. 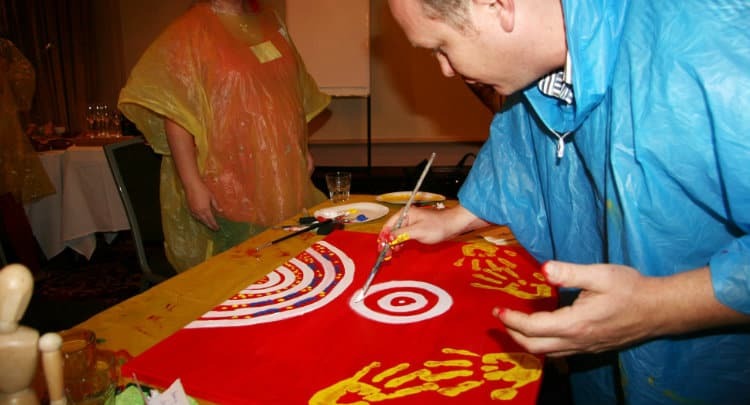 Facilitated by a professional aboriginal artist, the My Story- Aboriginal Art corporate team building program is more than your usual team building experience. It is an exploration of culture, story telling, meaning and discovery. It’s an artistic and creative journey into what matters in our lives. It’s a powerful record of the person or team we want to be.